We’ve been hearing for a while that a mobile version of Battlefield 3 will launch alongside the PC and console releases later this fall. While we still don’t have confirmation on that, we at least have some additional confirmation that Battlefield 3 is coming to iOS. EA confirmed this to Pocket Gamer, though left any other meaningful details out for the time being. If Bad Company 2 for mobile [$2.99 / Free] was a solid indication of future direction for the mobile versions of DICE’s shooters, chances are BF3 for mobile will follow the events of its source material. 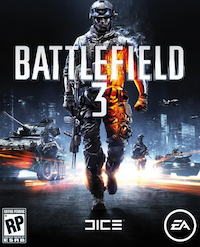 BF3 proper is set in Iraq during 2014, just as an earthquake ravages the region. It follows the story of Henry ‘Black’ Blackburn and his five-man squad deployed in the region at the time of the quake. In other EA upcoming game news, Bullfrog’s ridiculously good PC theme park simulation game, Theme Park, is also set for a release on iOS. No details have been offered quite yet, but I don’t think it’s out of the realm of possibility that this will just a straight-up port of the cutesy task manager. We’ll give you more on these just as soon as we can.